Tumours develop from normal human cells through a complex process with multiple stages. 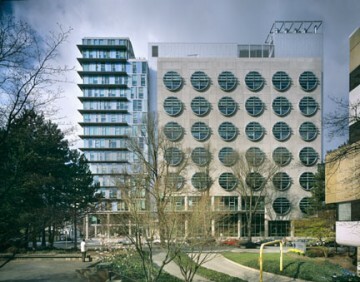 The Department of Molecular Oncology at BC Cancer, part of the Provincial Health Services Authority (BC Cancer) in Vancouver, British Columbia aims to characterise the molecular changes that underpin progression and pathogenesis of cancer. Researchers in the Department of Molecular Oncology use the latest technologies to rapidly identify genes that are involved in the development of cancer. Our research combines diverse techniques ranging from genomics, computational biology, tumour imaging, in vitro and in vivo functional models to study biological and clinical phenotypes.The proteins produced by these genes may serve as targets for novel chemotherapy drugs and other cancer treatments, or imaging scans. We then use a range of techniques to validate the role of the novel candidate genes in the development of cancer. The ultimate aim is to translate these findings into improved treatment options for cancer patients. The combined research output of the Department of Molecular Oncology is represented by over 240 peer-reviewed papers, published in such high-impact journals as Cell, the New England Journal of Medicine, Nature, Science and Blood. Dr. Samuel Aparicio’s laboratory focuses on the molecular pathways involved in breast cancer development. Dr. Francois Benard’s team focuses on developing and using imaging techniques to characterise tumours in patients, and in animal models of cancer. Dr. Kuo-Shyan Lin’s laboratory is developing radiotracers for applications in oncology and neuroscience. Dr. David Huntsman‘s team applies novel genomics technologies to ovarian cancer. Dr. Sohrab Shah uses computational approaches to study cancer genomes. Dr. Poul Sorensen’s team studies a range of childhood cancers as well as a subset of breast tumours.